How close is the Bear? The Bull market is nearly ten years old, the longest in economic history. It is looking aged, arthritic and sclerotic. It is why, in October the rampant US stock market fell -10% before staging a fragile rally end month. The big question is, is this it? 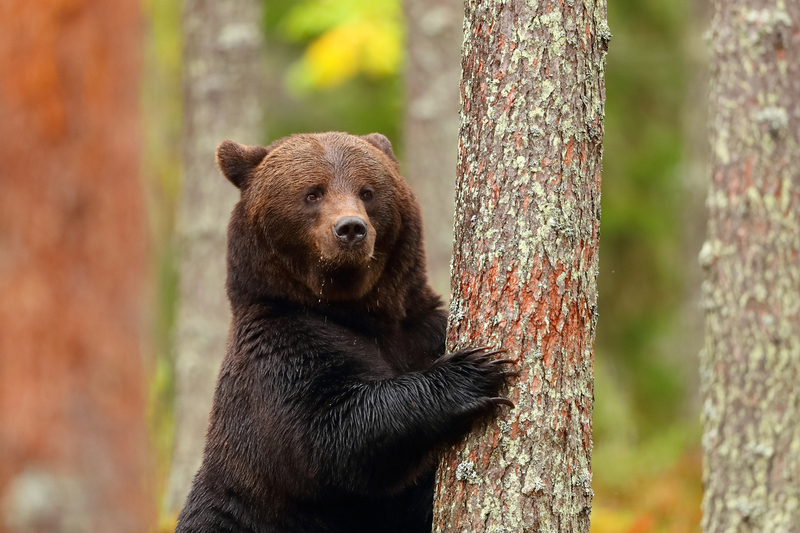 Are we on the cusp of a Bear market? This is a notoriously difficult question to answer, until it happens. Typically Bear markets, characterized by falls in excess of 20% in equities, mask their arrival by temporary relief rallies before the down trend becomes evident and panic sets in. Throughout the world, economic slowdown is evident. Germany just posted negative growth for the last quarter, China, grappling with a huge debt bubble and the impact of US tariffs, is leaking growth and may be forced into fresh stimulus. The UK economy is in a dramatic slowdown as investment is withheld due to Brexit uncertainties. Even in Trump’s America, despite benefitting from his Borrow and Tax Cut policy, there are signs of slowdown just over the horizon. What kind of BEAR is coming? Cyclical recessions blow the froth off prices both in stocks and property and usually last no longer than a year, often a lot shorter. Structural recessions are much deeper and longer because there is a problem in the engine room that needs fixing. It is easy to see what that is, too much debt and not enough economic growth to keep it indefinitely suspended. Structural recession cause prices to fall by up to 60% and last several years before recovery. It is why we’ve generally favoured conservative funds looking for some upside, but not exposing capital to nose bleeding losses on the downside. Remember a +100% surge in the price of any asset is wiped out by a subsequent fall of -50%. Some bearish asset managers who’ve remained skeptical throughout the past ten years, perceive the potential for falls of two-thirds in stock markets, those who oppose believe there’s plenty of life left in the bull market and current volatility is merely a return to normal choppiness. Over the past ten years global debt has grown by 50% to nearly $250 trillion, but the global economy has grown only by a third. It is now slowing. It doesn’t take a genius to see that this adds instability and why analysts like Nassim Taleb, author of The Black Swan, a groundbreaking treatise on risk, reckons that the global financial system is more unstable now than in any time in the past. By another measure, the rate of economic growth needed to service the debt load at normal interest rates is running nearly twice current economic growth, so you see the problem. Central banks reached deep into their tool kit to keep everything afloat by propping up banks, crushing interest rates, making the cost of borrowing negative (including for speculative trading) and buying securities like national Government Bonds at prices no one will touch. It is no wonder asset prices surged. The concern is that the cure is worse than the disease, that by adopting these extreme tactics for so long, debtors haven’t undertaken the deep structural reforms needed to fix their houses, merely refinanced and gorged themselves on cheap credit. Italy is an example, but so too are emerging market economies like Turkey who borrowed in USD to finance current and capital spending and now face rising interest rates and a strong USD. Other countries that started out without credit bubbles ten years ago, now have them after ingesting cheap capital, Australia is an example. It is hoping to slowly deflate its property bubble without going burst. The bulls know this too but rely on Central Banks to continue to reflate when air leaks from economies, they see this reflex as an opportunity to make a killing, that the game is to surf on open-ended QE and Central Bank supports and promise clients to bail out just in time before any train wreck. They didn’t last time. The phenomenal growth in index tracking funds, which require no investment learning and do not differentiate between stocks but follow the market on autopilot, is testimony to the view that it’s all upside but add in flash crashes from computer-based trading and the scope for routs is greater than ever. The mood music is changing among the bulls. The buzz term now is Late Cycle economics, jargon for squeeze out the last bit of profit and get out before the Bear squeeze. Even among bullish asset managers whose economic units churn out analysis, there are warning sounds that weren’t there before. Late Cycle means, at best, low single digit returns at high levels of risk is what’s on offer. Gold is beginning to make an appearance in institutional reports, an asset class dismissed previously as only useful for jewelry and gold bugs. Inflation-Linked bonds are coming into favour because, at full employment, wage demands can trigger a wage/price spiral and eat away corporate profits. The Bulls are getting nervous. They’ve a right to be. In the engine room, the key US 10-year bond yield started the year at 2.4%, in October it spiked to 3.4%, that mightn’t sound like much, but it is signaling where US interest rates currently at 2.25% may need to go. It scared markets forcing them to ask what companies are zombies if rates go up effectively by half again? Who hasn’t reformed, who hasn’t restructured their debt or carries too much, where are the casualties if rates rise faster than we thought? These are real concerns now that Quantitative Tightening (QT) has begun. Then came the Mid Term elections. Despite all the White House guff the result was a huge setback to Trump’s agenda. He’s linked his Presidency to dollars in the bank from tax cuts and the feel-good factor of rising US stocks prices. Now he faces a Democrat majority in Congress, so cannot deliver another sugar rush as this one fades. He faces distraction from a blizzard of Congress investigations on many fronts, any of which could lead to Articles of Impeachment. No impeachment proceedings could succeed by the two-thirds majority needed in a Senate trial of the US President, unless the report by Justice Department Special Investigator Robert Mueller unearths some devastating evidence, equivalent to the infamous Nixon smoking gun tape in 1974. Whatever the outcome, one thing is clear, Trump’s free run at ballooning the US deficit is over. It’s a grind now and if his re-election coincides with impeachment proceedings during a Bear stock market he’s in trouble. He won’t win a second term on popularity, not when he’s losing women voters, Hispanics and African Americans, not if the young come out to vote. He’ll win it only with more dollars in consumer bank accounts. Trump is no strategist. If the was he’d see that his tactics are a curate’s egg. By lashing on an unnecessary stimulus in a late stage economic cycle, near full employment, he has created a pressure cooker, forcing the Fed to raise interest rates and switch to Quantitative Tightening more quickly than expected. Instead of a low, gentle rise in interest rates, the Fed will be minded to go higher quicker, to head inflation off at the pass. The Fed will have the muscle memory from the 70’s when inflation ran out of control after Nixon decoupled the USD from gold. Inflation didn’t stop until its Chairman Paul Volcker hit the brakes very hard rising interest rates in June 1980 to 20% and squashing inflation, which peaked at 14.8% to 3%. Volcker’s harsh medicine caused a painful recession that drove US unemployment to 11% and pushed many banks to the edge of insolvency before he took his foot off the brakes. Goldman Sachs Economic unit sees US GDP growth slowing sharply from nearly 3% 2018, 2.6% 2019 and to 1.6% 2020, which is closer to Eurozone projected GDP as the Trump sugar rush fades away and rates rise. The Bear Market Risk Indicator, an integration of four leading variables, is flashing red at 73%. In the past when this indicator moved above 60% it signaled investors to be cautious. Goldman Sachs nonetheless expects that lower growth will not lead to US recession just yet to which it gives a low probability of 10% over the next year or so. The Fed is expected to raise rates in steps by 2020 to between 3.25% and 3.5% close to where the US Ten Year Bond yield is flagging it today. For the US stock market, the average Bear fall has been -34%, but varies from a low of -20% to a high of -56% experienced after the GFC from July 2007. In each case the first fall averaged -9% followed by a Bear rally of +8% before the real Bear revealed itself. The truth is that no one can tell when the next trough will happen, how deep it will be and how long it will last. 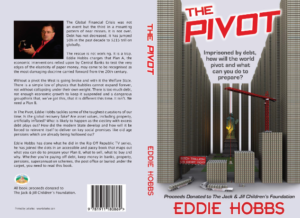 Explored in The Pivot, published in 2017, is the observation that the mathematical models, relied upon by asset managers and Central Banks alike, to determine risk probabilities are flawed. Time and time again these classic bell curve models have failed to predict extreme events occurring, mostly because they cannot map the deep wiring underneath the global financial system and its capacity for contagion. It’s what happened the last time when defaults of subprime US housing mortgages came within a whisker of collapsing the banking system nearly everywhere. This concern is at the fulcrum of our advice. Those who favour the Austrian School of Economics and don’t buy into Keynesian monetary expansion (relied upon by policy makers and Central Banks to bail out the GFC), see not a solution but an Everywhere Bubble, caused by more debt creation. Why that’s important is because whomever is right, it will determine the shape of the next recession. Cyclical recessions and Event-Driven recessions pockmark nearly two hundred years of US economic activity, but it’s the Structural Recessions one needs to watch out for, because they last twice as long, averaging 134 months from peak to peak and record biggest falls in stock markets, averaging 57%. The past year or so has been a frustrating time for conservative funds leaking some value largely, although not exclusively related to the expected pivot in interest rates, bringing an end to a very long period of falling bond yields. The Fed has begun tightening, raising its base rate and selling off the securities it brought on to its balance sheet. The ECB is expected to follow suit by starting to gently raise rates at the back end of 2019. But the steepness of the rate rises, and its speed is directly dependent on the softness or hardness of the economic recoveries. That is the unknown. What we can tell from the yield curve, which tracks the gap between short-term and long-term bond yields, is that those who measure long-term economic performance and management of economic policy, are not convinced. The yield curve remains pretty flat in developed economies. A sharply upward sloping yield curve reflects pretty normal economic growth forecasts, a downward sloping one, a depression, what we have is a pretty flat one indicating tepid, low inflation growth. The Eurozone recovery lags the US and won’t see the ECB beginning to reverse QE until the end of 2019, and rate rises are likely to be slow and low, presaged by a modest rise in Bond yields. The big test will be how Italy is handled as its coalition Government is on collision course with Eurozone fiscal rules. The Italian Government wants to increase its deficits to finance a flat tax and an income benefit. Brexit drama, heightening this week, looks like having a binary outcome, either stay in or crash out with anything in between failing to attract sufficient support from both extremes. The economics look awful, a crash out to WTO models could cut into UK GDP for ten years halving its annual growth rate and while other models like Canada and Norway are less harmful to the UK, there is no avoiding the damage. The damage is already evident in a slowdown. The most recent IMF report shows that UK growth, the strongest in the G7 2013 to 2017, is now the slowest, largely because of a fall in domestic investment as capital is held on the sidelines due to the waves of uncertainty washing over the UK. This will not be helped by the current convulsion. At the time of writing the momentum shift appears in the direction of another popular vote if, as expected, the political establishment in Westminster cannot, itself, agree. One has to assume that there will be no majority in favor of a crash out because it would lead to enormous job losses across the economy and that eventually common sense will prevail. History is likely to be damning towards the Brexiteer leaders in 2016 who promised jam on both sides, meanwhile the collateral damage will be felt in further UK slowdown as, understandably, households and business suspend investments pending greater certainty. The two-year run of positive low single digit GDP growth in Japan stalled in 2018, but it is expected to return to a growth path a little over 1% next year, aided by extraordinary expansion of its balance sheet by the Bank of Japan, which is now equivalent to 100% of Japanese GDP. Emerging markets generally have seen stock market falls in 2018 of -22%, not unusual by historic standards, but although prices may appear good value, there is the problem of the strong US Dollar and rising US interest rates. This is causing stresses not just for servicing USD denominated borrowing but because it incentivizes capital flows back to the USA. In the USA, President Trump’s retreat to Economic Nationalism isn’t isolated and reflects a growing trend in many countries where the hard right is growing in power, the significance of which may be to ape Trump’s policies of demand side stimulus, i.e. tax cuts and regulatory easing. If so this will mean higher bond yields as markets price greater debt loads, impacting on asset values as the risk-free rate of return rises. In the US, the Democrat majority in the Congress is likely to thwart any further deficit-financed tax cuts as they target winning back the White House in 2020. The tectonic plate lies between the USA and China as both powers square off in a classic rivalry between the No. 1 and No. 2. The Thucydides Trap, where one great power attempts to replace another, didn’t work out too well for either the USSR, deemed in the 1950’s to rival the USA, or Japan in the 1980’s, which went spectacularly burst in 1992. This time it’s China, which in 1980 represented only 11% of US GDP, but last year had grown to nearly two-thirds of it. China’s trade war with the USA is spilling over into the global slowdown. US tariffs apply to 40% of its imports, about $900bn, which will face extra import taxes of c. 9% on average. How the US-Sino relations unfold will be the key determinant of the decades to come, whether they find a way to peaceful co-existence or degenerate into a Cold War. The former looks more likely despite Trump’s unilateral decision to choose a Trade War before engaging in talks. China is already demonstrating a capacity to use nerve strikes in retaliation, hitting Trump where it hurts most, right on the pressure point of his electoral support in US agriculture, e.g. soybean exports. China is unlikely to dump its US Treasuries and needs to keep its reserves intact to cope with bailing out its banks. Neither can China risk damaging its economy, not when it is in the middle of transitioning from an export-based economy to a consumer economy. In the medium-term the US targeting of Chinese growth to curtail its growing reach may be self-defeating by encouraging reformists within the Chinese administration to fast track reforms including building reliance on homegrown technology instead of US technology. Other reforms are likely to feature internal market liberalisation and modernisation, rallying the Chinese population by using the US as the bogeyman. Ultimately both powers are likely to work through to mutual coexistence respecting their differences. China will never be Westernised, it will always be China, much like Russia is neither European nor Asian, it is Russia. Much is made of China growing old before it grows rich because of its aging demographics, but Chinese economic expansion as a far distance to travel before its demographics act as a brake. It remains on target to be the world’s largest economy over the next decade or two. In an important development an institutional standard gold vault opened in Dublin last week, led by Loomis and precious metal agent GoldCore. This brings the equivalent of Michelin Star standards to custodianship and security of physical gold and places it nearby to Irish residents. We continue to recommend that up to 10% of liquid assets are held in gold whether personal and corporate. Gold can be acquired in ounce or kilo bars and this development underwrites authenticity, security, insurance and trading. For more details just ask for a report. The Pivot, available from www.jackandjill.ie for €20, all of which goes to fund paediatric nursing hours. The Pivot is also available by contacting us at 045 409364, just ask for Sarah and she can arrange for you. It is not in the shops. Newhall, Naas, Co. Kildare. W91 T211. © Financial Development & Marketing (FDM) 2017. Financial Development & Marketing (FDM) is a registered business title for the management consultancy of Mr. Eddie Hobbs, QPT (IIPM), QFA, FLIA (dip), C.Dip. A.F., who is a Pensioneer Trustee appointed by the Irish Revenue Commissioners. VAT No. IE 3569679S. Unit W9A1, Ladytown Business Park, Newhall, Naas, Co. Kildare. W91 T211 | 045 409364 | 045 409196 | info@eddiehobbs.com | Privacy Statement | Designed by Pixelpod.